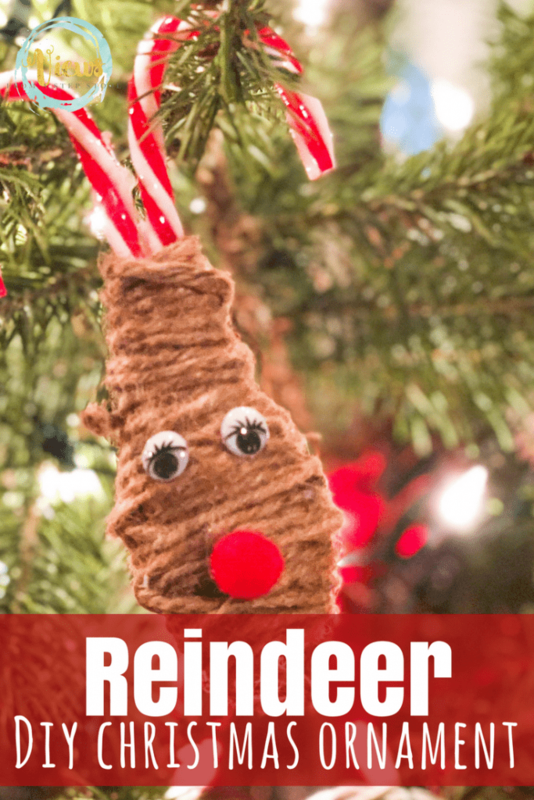 This adorable little reindeer Christmas ornament is made from plastic candy canes and twine! Check out what you need below, and watch the video tutorial for instructions. We love a good DIY ornament. It’s always fun to pull out the ornament box each year and find handmade goodies from years past. This is such a simple DIY that kids can do it largely on their own (with hot glue gun help). Watch the video tutorial below to see how to make the reindeer. Simply glue the two candy canes together and then wrap with twine so that the bottom is thicker than the top. 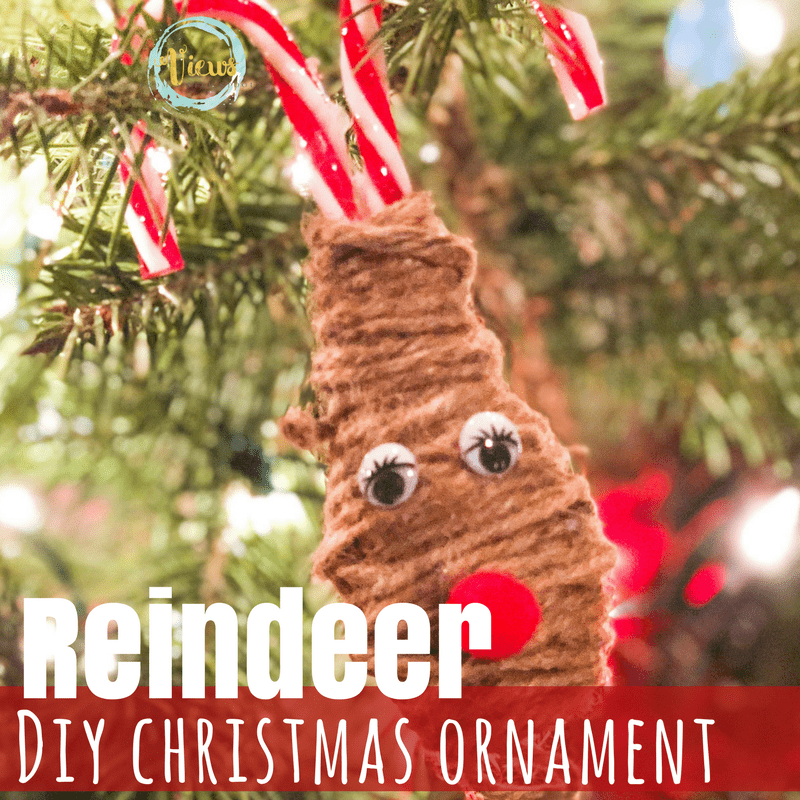 Glue on the nose and the eyes and your reindeer is ready to adorn your tree! Have fun with this simple DIY Christmas ornament!